A client once told me when skiing he switches off totally because he has to focus on the job at hand whereas on the beach with a book, his mind inevitably wanders back to the office. The relaxation that you glean from physical effort and focussing on an activity on a crisp winter’s day is not to be underestimated. Now we can go into why ski holidays are better than beach holidays, but let’s stay on track here! OK, how do I get down this slope that looks a bit steeper? How do I tackle the bumps down this piste? Shall I stay on the piste or try the powder snow on the other side of the piste markers? This puzzle solving that occupies the brain and fills the moment is often part of what helps make a skiing holiday such a rewarding and relaxing one. At New Gen, we’re always looking to find ways to impart our passion for skiing to our clients. And we’re always looking to offer the best and most effective ways to help you to learn and share our enthusiasm for this wonderful sport. 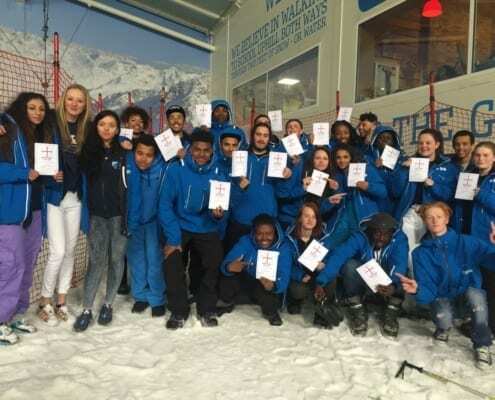 Which is why we’ve given our adult group ski lessons a bit of a makeover for winter 2018/19. Historically we’ve found short and sharp group lessons were the best. They offered you the tuition that you needed but didn’t fill up your day, so you still had time to ski with family and friends. We still maintain this is true. However, we’ve also come to realise that skiing in a group is a social occasion full of camaraderie, and so sometimes a little longer session is useful. Skiing in a group lesson is a great way, and also the most economical way to get better at skiing. Of course, you can choose to scramble by on your own but this is often a false economy in the long run. Our group lessons take you from total beginner to competent parallel skier. This allows you to be mobile in most resorts and also equips you with the foundations to go on and develop even more skills. We’re talking about carving and powder skiing people – the super fun stuff. We wracked our brains last year to try and make our group lessons more effective. And we decided to make some changes in off-peak weeks, to try and make the experience even more worthwhile for you. Meaning more progression, and a better experience. We have added an extra 2 hours onto the last day of our group lesson meaning the last day is now 4 hours. This is to consolidate on the new things we’ve learned. The longer Friday allows us more time to go further afield, test our new skills and confidence, as well as perhaps sneak in a quick coffee along the way. 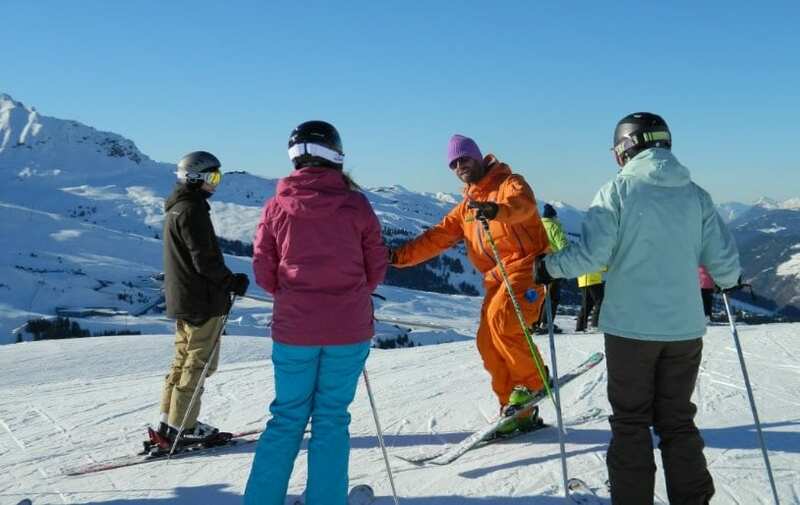 We have also front-loaded our ‘Learn to Ski’ level offering 4 hours on the first day. This is to get people going quicker and to help them make the most out of their holiday. 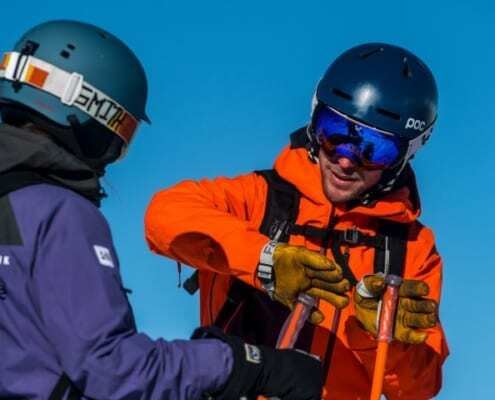 Two sessions of 2 hours allow beginner skiers to spend more time with an instructor when they need him or her most. It also means beginners can progress more and have more supervision on the all-important day one. A ‘kick start’ if you like. The other big thing we have done is to cap our groups at 6 for off-peak periods. This way, we can maximise communication time with the instructor and make the groups as personable and effective as possible. We’re hoping that these changes will make learning to ski in a group an even more attractive option at New Gen. Sharing our love of skiing is what we want to do and this enthusiasm is often created (or not!) in our early experiences. This is why we want our group lessons to be a great experience. 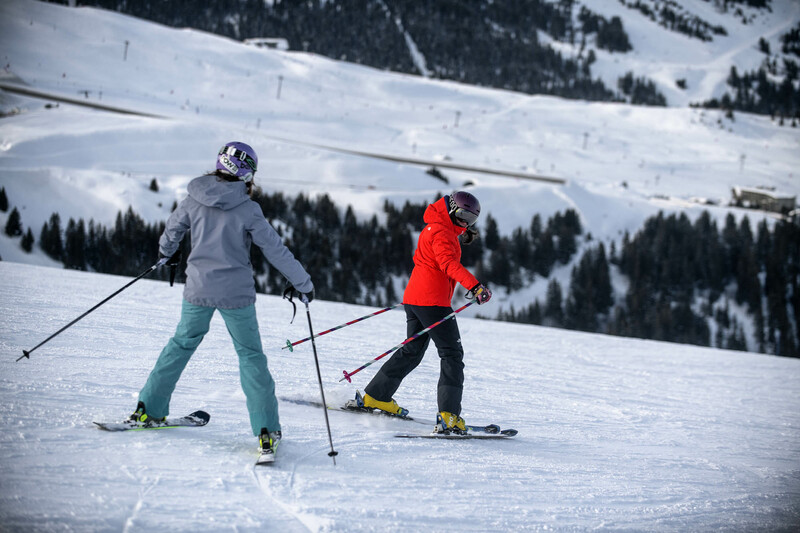 Find out more about our Learn to Ski package for beginners or our adult group lessons for intermediates. Or check out some other articles you might be interested in down below.